Several analytical agencies included Russia in the list of countries consistently claiming for leadership in greenhouse gas emissions. According to representatives of environmental organisations, Russia risks becoming an outsider, if it remains the country of raw materials. According to the International Energy Agency, Russia and Canada by 2035 may bypass other developed and developing countries in terms of greenhouse gas emissions per capita. Experts believe that Russia will remain predominantly economy of raw materials, and even in the most positive scenario the country will have one of the highest levels of CO2 emissions per capita. The IEA report considers five scenarios of world energy by 2035, from the mild scenario of "future inaction", in which the international community will implement only presently adopted commitments for emission reductions, to the very hard scenarios, which, for example, require mandatory use of the carbon capture and storage (CCS) technology when burning any fossil fuel. Only the U.S. and Germany managed to reduce carbon dioxide emissions (by 2% and 4%, respectively). China had the greatest amount of carbon emissions into the atmosphere during the reporting period, 10 billion tons. The U.S. has the second place in this list, followed by India, Russia, Japan, Germany, Iran, South Korea, Canada and South Africa. Emissions of carbon dioxide grew up by 3% in 2011 and amounted to nearly 38.2 billion tons. According to the World Bank, the countries with the highest per capita greenhouse gas emissions are the United States, Saudi Arabia, Canada, Kazakhstan, and Russia. Qatar that recently hosted the 18th UN conference on climate change tops the list. Alexei Kokorin, the head of the Climate and Energy Programme with WWF Russia, says: "In 2035, even in the greenest scenario, Russia and Canada will have the highest CO2 emissions per capita, not the U.S. as of now. This outlook for our country is associated with raw materials economy, lack of incentives for development of renewable energy sources, and cold climate." 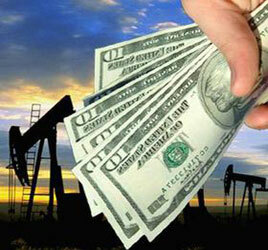 Aleksey Kokorin says: "Many aspects of the International Energy Agency report are controversial. However, one thing is beyond doubt: energy efficiency is the key to tackling climate change. The second key is renewables, where the main point is the transfer of subsidies from fossil fuels and nuclear energy." The amount of direct and indirect subsidies only in oil and gas production sector in Russia in 2010 amounted to 14.4 billion dollars. In 2009, the G-20 made the decision to gradually reduce environmentally hazardous direct and indirect subsidies to fossil fuels. Environmentalists believe that these funds shall be redirected to other purposes consistent with the principles of sustainable development: to the development of renewable energy, energy efficiency and energy saving.